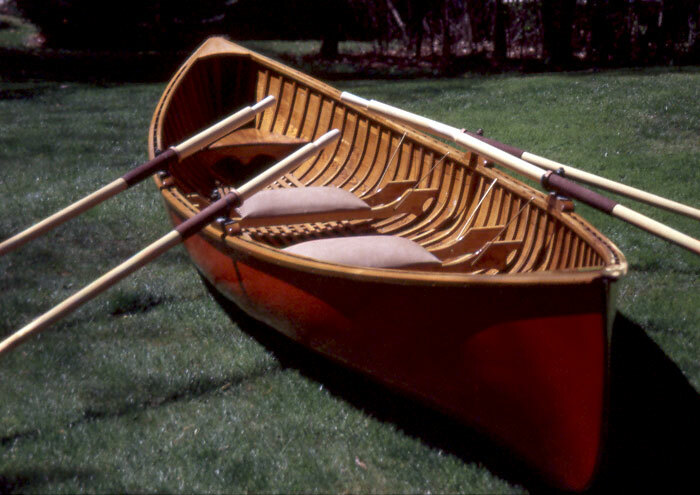 Kurt and Joan Magnusson restored this rowboat and re-launched it the summer of 2002. They found the boat at a yardsale in NH and bought it for $20. They replaced 11 ribs and all of the fastenings. 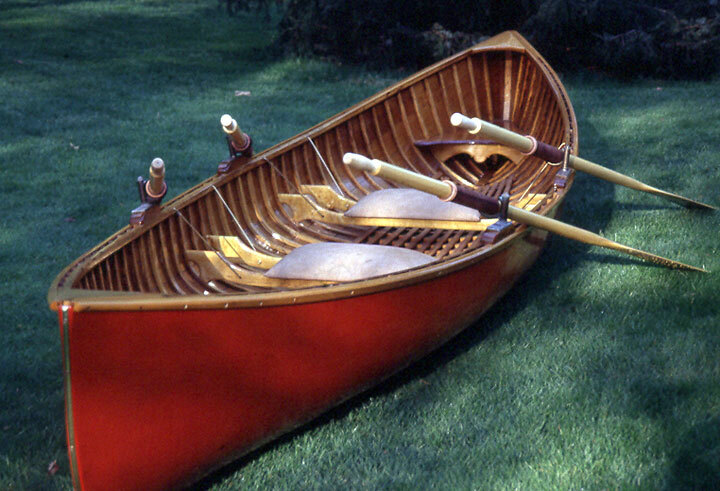 They hired Skylar Thomson of Thomson Canoeworks in Connecticut to recanvas the boat. 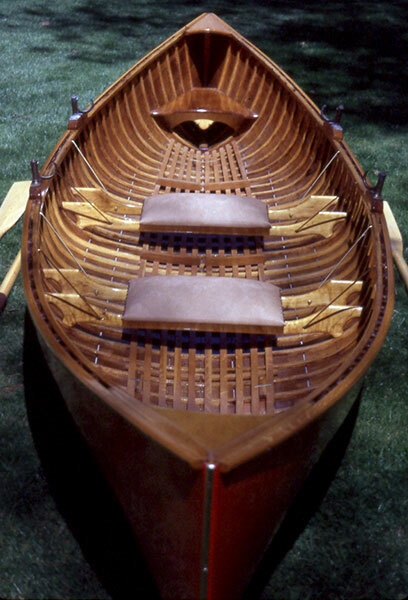 They noted that 3 of the 4 original oarlocks are with the boat, and the oarlocks were patented in 1882.